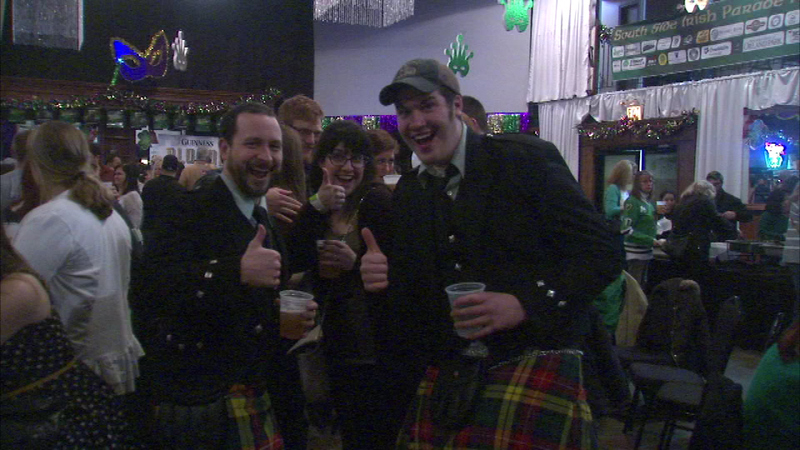 A fundraiser was held Saturday evening for the South Side Irish Parade. CHICAGO (WLS) -- Chicago does St. Patrick's Day like no other and with March just around the corner, preparations are underway for one of the biggest celebrations, the South Side Irish Parade. A fundraiser was held Saturday evening for that yearly spectacle as people of all ages gathered at the 115 Bourbon Street entertainment complex in the city's Merrionette Park neighborhood. Of course, the "South Side Irish Parade Queen" was in attendance for the event.